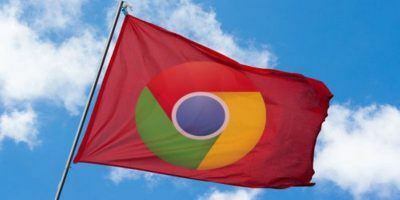 Google Chrome is a phenomenal browser, and it’s no surprise that it has been adopted by so many people so quickly. That said, it’s not perfect. 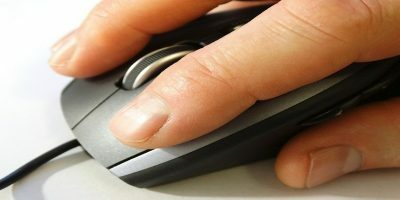 The browser makes it easy to access recently visited websites and a wide range of apps on the new tab page, but managing bookmarks can be a bit of a chore. Here’s where extensions come in. 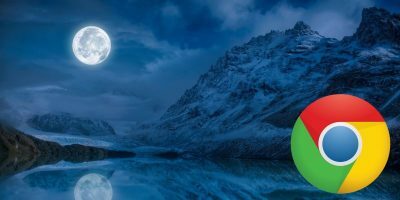 Humble New Tab is a simple resource that replaces the new tab page with your bookmarks and other content. Oh, and for those that care, it’s open source. First, grab Humble New Tab from the Chrome Web Store. 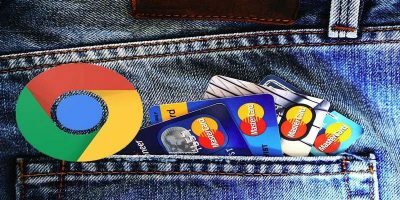 The confirmation dialog that pops up may look intimidating, but the long list of permissions are necessary to give Humble New Tab the ability to manage your new tab page as thoroughly as it does. After this, you are presented with a clean new tab page offering you quick access to all of your bookmarks. You could probably stop here and be content, but you would be missing out on much of what Humble New Tab has to offer. First, lets address that pesky notification at the top of the window. If you don’t mind the extension tracking your location, just grant it access. 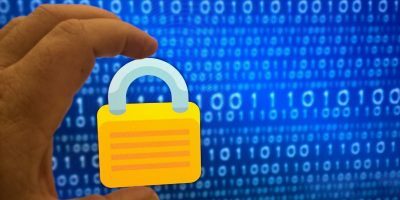 If you deny the extension permission to track your location, it’s no biggie. 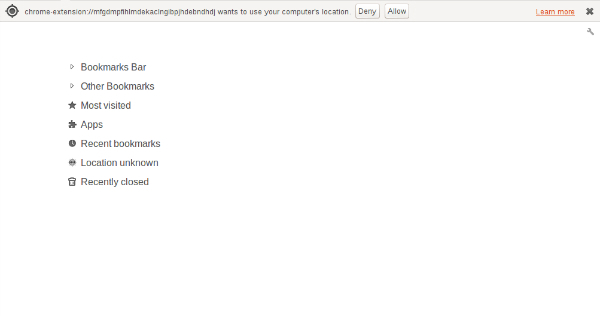 Your location can be set manually. Just scroll up to the top right corner and click on the subtle wrench icon. This will open the options menu. You can enter any location of your choice at the bottom of the options menu and choose between Celsius and Fahrenheit. 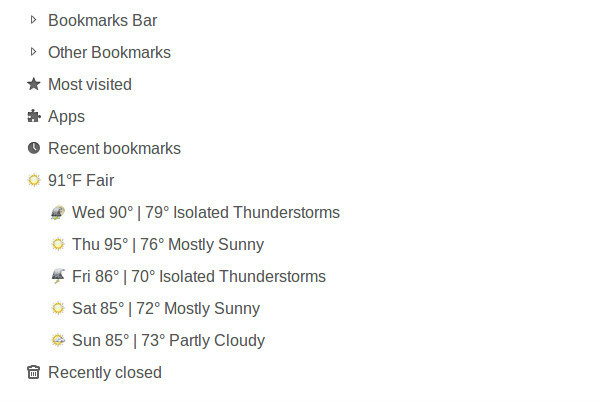 Hit Enter after your location is typed and your weather forecast should appear immediately. Clicking on this forecast will give you the weather for the next five days. It’s not the main purpose of Humble New Tab, but it’s quite a nifty feature. Back to bookmarks. Clicking on any of the visible folders will expand to reveal their contents. Any folder can also be dragged up or down to re-arrange them into any order you desire. Dragging a folder left or right will create a sidebar listing all of the websites contained within. Multiple sidebars can be created, giving you the freedom to arrange websites across your new tab page largely how you wish. 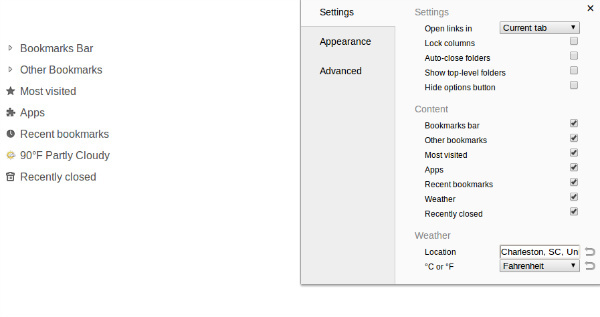 If you don’t want certain bookmarks to appear on your new tab page, entire folders can also be hidden. 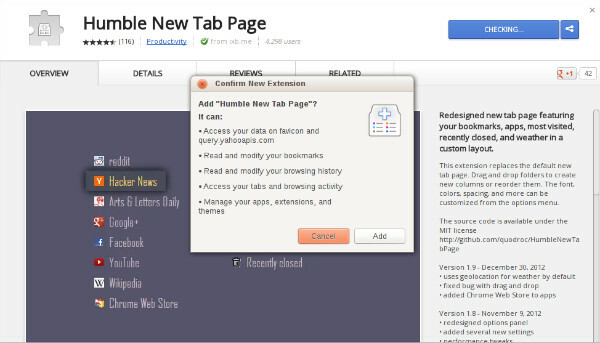 Humble New Tab is a fully customizable means of handling your bookmarks. You can fully tweak the size of the text, change the font, and alter the background color. Just go back up to the wrench to open the options menu and bring up the appearance tab. 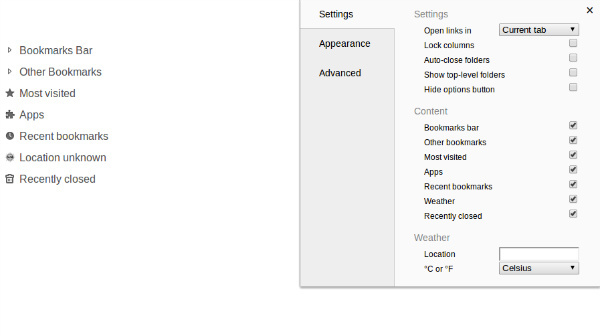 The appearance tab provides granular options for changing every aspect of your new tab’s appearance. General themes are provided, but it’s easy to create custom ones. Sliders are also present for manually altering spacing, alignment, shadows, and animations. 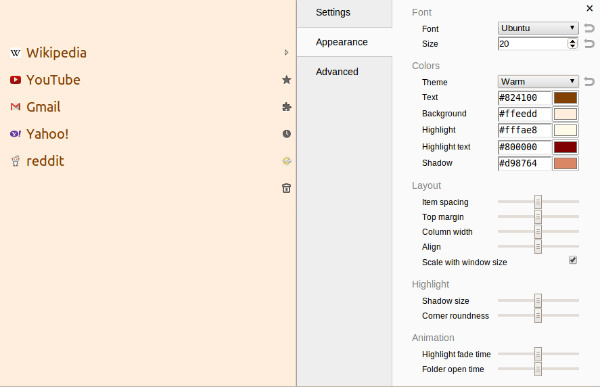 If this still is not enough, open the advanced tab to edit the CSS directly. 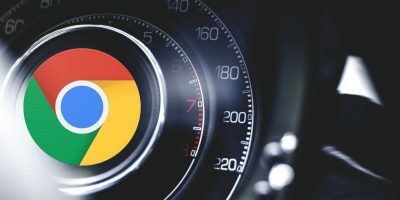 Google Chrome’s default new tab pages encourages users to place their bookmarks in the bookmarks bar and tucks the remaining bookmarks into a folder in the corner, but it’s very limited in its accessibility. Humble New Tab puts you in control of your bookmarks and places your favorite websites right before your eyes. Any questions? Let us hear them in the comments.